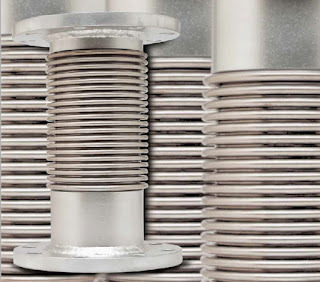 Pipe expansion or contraction resulting from temperature changes is independent of line size; however, the bellows elements of small diameter expansion joints have less ability to absorb motion than larger sizes because of restrictions on the corrugation size. 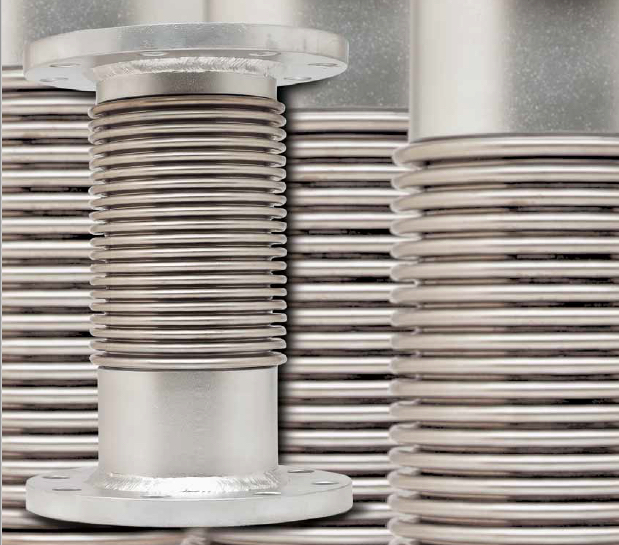 Recognizing these shortcomings, Hyspan® developed Series 1500 Laminated Bellows Expansion Joints for applications that involve axial motion. The bellows elements are designed with up to four individual thicknesses or laminations of precision stainless steel foil. This design procedure combines the high flexibility of thin material while providing the pressure resistance of multiple laminations. 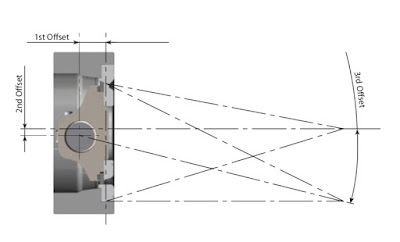 As a comparison, a bellows made from four plies of 0.008" thick material has the same pressure rating as a single thickness of0.016" thick, but the laminated construction will deflect twice as much and requires only one-half the force to compress. 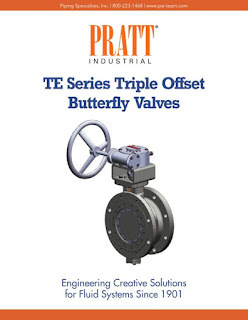 The Triple Offset Butterfly valve has been designed to answer the industries demand for an alternate solution to gate valves and ball valves where weight, space, performance, and the ability to modulate to the process flow were an issue. Pratt Industrial Triple Offset Butterfly Valves are from the family of quarter-turn valves. 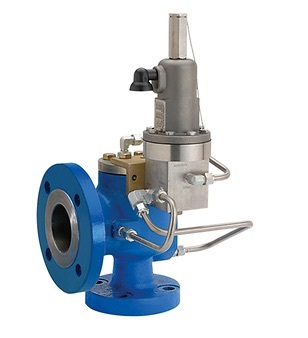 This valve is designed and manufactured to meet API 609 and ASME B16.34 specifications. Modulating; manual, pneumatic, or electric motor operators. Level Measurement in Pulp Stock has posed problems for a wide range of level measurement technologies. In most pulp mills this is the most challenging application on site. The environment in the high-density pulp tank is very corrosive to most common metals and the clouds of dense steam vapors that rise from the stock and foaming surface of the level are a constant source of signal loss for many non-contact technologies. Due to the size of the vessel and density of the stock, mechanical devices are typically short lived.Stock coatings that form on all interior surfaces add additional mechanical stress and the pulp coating deposits can adversely affect accurate level measurement performance. 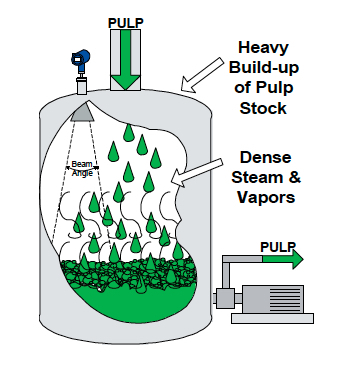 One of the challenges of a level measurement device is to control the level in the stock tank, thereby helping to control the average pulp density by controlling the speed of the pump.The response time of the level measurement system is critical in controlling the pump speed and reducing pump oscillations and surges that will eventually reduce the life of the pump.Too slow of a response from the level instrument will allow the level to rise above it ’s optimum density level and cause excessive loading and wear on the pump. movement and are designed to open, close, or position a quarter-turn valve. These include ball valves, plug valves, butterfly valves, or other types of 90 degree rotational valves. These actuators are sometimes referred to as, “lunch box,” because they, well, look like a lunch box. This actuator uses opposing pistons with integral gears to engage a pinion gear shaft to produce rotation. They are usually more compressed than a scotch yoke, have standardized mounting patterns, and produce output torques suitable for small-to-medium sized valves. Rack and pinion nearly always include standard bolting and coupling patterns to directly attach a valve, solenoid, limit switch or positioner. One of their features include several smaller coil springs mounted internally, which provide the torque to return the valve to its starting position. These actuators come in a multitude of sizes, but are usually used on larger valves because they can produce a very high torque output. They employ a pneumatic piston mechanism to transfer movement to a linear push rod. That rod, in turn, engages a pivoting lever arm to provide rotation. Spring return units have a large return spring module mounted on the opposite end of the piston mechanism working directly against the pressurized cylinder. 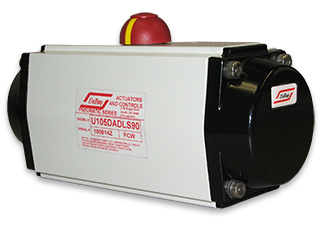 These actuators are usually used when the application requires a significant space savings. They take up less space when comparing size-to-torque with rack and pinion and scotch yoke. Rotary van actuators also benefit from a reputation of longevity. They contain fewer moving parts than other types of pneumatic valve actuators. Rotary vane actuators use externally mounted, helically wound "clock springs" for their spring return mechanism. These style of valve actuators can all be secured with direct acting or spring return versions. 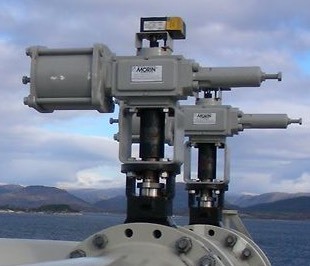 Direct acting actuators use the air supply to move the actuator in both directs (open and close). Spring return actuators, as the name describes, uses springs to move the actuator back to its "resting" state. Converting a version from direct acting to spring return is done through simple modifications, typically just adding an external spring module, or removing the end caps from rack and pinion actuators and installing several coil springs. When considering the choice of pneumatic valve actuators, your decision comes down to size, power, torque curve and the ease of adding peripherals. To ensure that your valve actuation package will be optimized for safety, longevity, and performance, the advice of a qualified valve automation expert should be sought out. That expert will be able to help you with the best selection of the appropriate valve actuator for any quarter turn valve application. For more information on valve actuation, contact Piping Specialties, Inc. 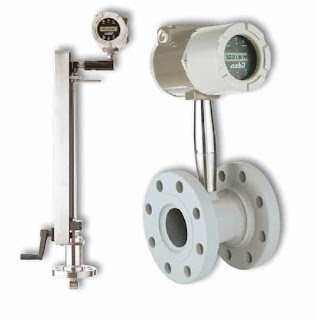 The AX Series of Vortex inline flowmeters measure flows of liquid, gas, and steam by measuring the rate at which vortices are alternately shed from a bluff body; this rate has been shown to be directly proportional to the flow velocity. As flow passes a bluff body in the stream, vortices create pressure differentials which are measured by a piezoelectric crystal sensor, which converts these pulses into electrical signals. The meter uses an all-welded sensor design to create a strong unit and minimize potential leakage. The Azbil AX Series can be configured to measure anything from simple volumetric flow of liquids and saturated steam up through multivariable measurements, including mass flow rate, pressure, temperature and density of liquids and steam. Insertion style vortex meters measure fl ow by detecting the local velocity at a strategically located position within the pipe. Using local velocity, calculated by measuring the rate at which vortices are alternately shed from a bluff body within the sensor, the Azbil AX2300 uses parameters such as fluid type, pipe size, and Reynolds number to calculate accurate measurements. Download the Azbil AX Series Vortex Flow Meter brochure here. 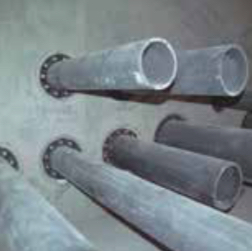 Sealing pipes passing through concrete barriers can be one of the really tough challenges confronted by designers and installers of any piping system. But there's a way to simplify the whole process. All it takes is the system approach. Link-Seal in combination with Century Line sleeves makes for a dynamic combination. Just what you need to quickly and easily seal any cylindrical object passing through concrete poured walls, floors, and ceilings. 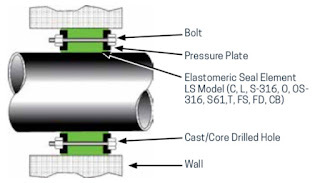 Link-Seal is a flexible belt of interconnected rubber links used to seal the void area or annular space between a cylindrical pipe and round wall opening. Be it a steel sleeve, plastic sleeve, or poured hole, installation is easy. The belt is simply wrapped around the pipe connected and secured by tightening the bolt heads moving clockwise around the seal. Pressure plates on each side of the link applied the compression necessary to expand the rubber. As the bolts are tightened, the links enlarge from a free to an expanded state, transforming the belt of separate links into a hydrostatic seal capable of holding in excess of 20 PSIG with a safety factor of 5 to 1. In the laboratory under controlled conditions, Link-Seal has been successfully tested to 100 PSIG and above. In addition, accelerated aging tests have shown Link-Seal to be capable of providing maintenance-free service over performance life cycles estimated at 40 years or more. In the real world, Link-Seal improves overall system reliability by effectively dampening the damaging effects of vibration. 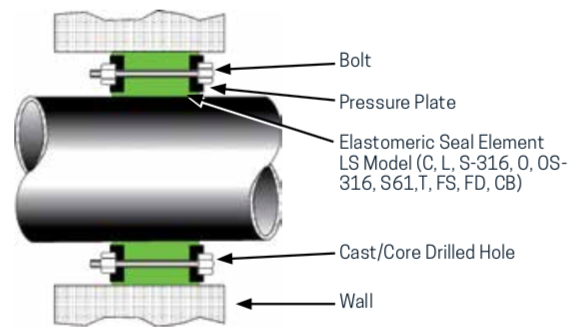 Link-Seals reduce fatigue on pipe welds, flanges and threaded connections. As an added bonus, they may also be used to isolate stray electric current passing through pipes and casings. Applications for Link-Seal are almost infinite. In fact, any cylindrical object may be quickly easily and permanently sealed as they pass through barriers of all kinds. What Are Trunnion Mount Ball Valves? Trunnion ball valve design. Trunnions highlighted. Ball valves are well understood in process control and industrial piping systems. Their simple 1/4 turn operation, compact form factor, bidirectional sealing, and tight shutoff make them a very popular choice for a wide range of applications. Although there are many varieties of seat designs, body styles, and flow patterns, ball valves can be separated in to two main groups, distinguished by a primary design element - the mounting method of the valve ball. Floating ball valves use the body and valve seats to position and hold the ball in the media flow path, allowing the flow force to lodge the "floating" ball firmly against the downstream seat. In this style, the ball is not mechanically held in place, thus the term "floating". Floating ball valves are, in general, limited to applications with smaller sizes and lower pressure ranges because, at some point, the fluid pressure on the ball may exceed the seat and trim's ability to hold the ball properly in place. Trunnion mount valves, on the other hand, employ a "trunnion" in their design. A trunnion is a pin, or a pivot, forming one of a pair on which ball is mechanically connected and supported. The valve shaft and the trunnion connect at the top and bottom of the valve and create the vertical axis of rotation for the ball. 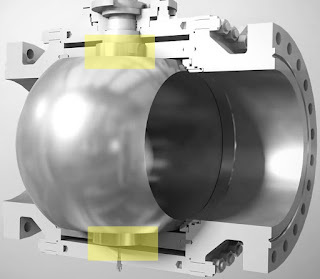 The trunnion also prevents the ball from moving or shifting with changing pressures. Due to their structural integrity, trunnion mount ball valves are generally well suited for all pressure ranges and valve sizes. Their design is used by many manufacturers for severe service. They provide excellent sealing properties over an extensive range of temperatures and pressures. Trunnion mount valves are available in both full and reduced bore designs with a wide range of materials, sizes, and pressure classes offered. The vast range of sizes, styles, pressure classes, and materials together with conformance to ANSI, API, and NACE specifications make these valves suitable for virtually all industrial, petrochemical, refinery, and oil and gas services. Finally, there may be an advantage to actuate trunnion ball valves due to lower torque requirements compared to similar floating ball valves whose torque increases with increasing flow pressure. For more information on floating ball or trunnion mount ball valves, contact Piping Specialties, Inc. at 800-223-1468 or visit https://psi-team.com. 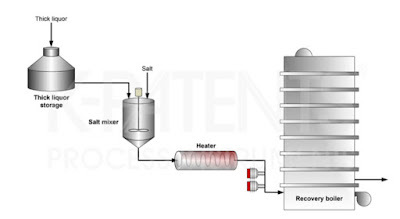 The recovery boiler plays a central role in the chemical cycle of a modern pulp mill. 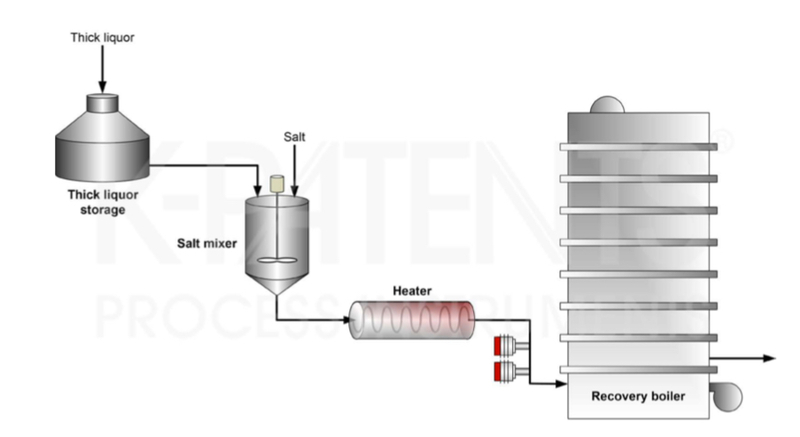 The recovery boiler is a chemical reactor, which is used for recovering chemicals from spent kraft liquor and generating energy at the same time. In the recovery boiler, the organic matter is burned. The dry solids liquor content required for firing is at least 60 %, but preferably more than 65 %. Black liquor is concentrated by evaporating water from the liquor. When the concentration of black liquor is maximized, so is the energy production. Before entering the burners, sodium sulfate decahydrate, or glauber salt, is added to cover chemical losses. 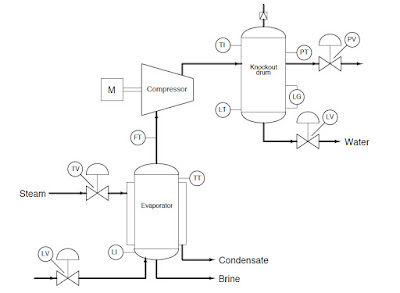 The liquor should have a high content of combustible dry solids in order to minimize flue gas emissions and maximize boiler efficiency. Too low concentration of dry solids fed to the burners may result in a steam explosion with consequent damage or destruction to the boiler. Therefore, it is essential to utilize a refractometer to monitor the black liquor feed to the recovery boiler to ensure a safe operation. The K-Patents Digital Divert Control System DD-23 complies strictly with all recommendations of the Black Liquor Recovery Boiler Advisory Committee (BLRBAC). The DD-23 system includes two SAFE-DRIVE Process Refractometer sensors in the main black liquor line, two indicating transmitters and a divert control unit in an integrated panel. The sensors are installed using K-Patents patented SAFE-DRIVE Isolation valve. This allows for safe and easy insertion and retraction of the refractometers under full operating pressure, without having to valve off the liquor piping or having to shut down the process. The SAFE-DRIVE Isolation valve contains a steam wash system for automatic prism cleaning. The system contains a SAFE-DRIVE Retractor Tool SDR-23 for safe sensor insertion and retraction. For more information about refractometers used on blacl liquor recovery boilers, contact Piping Specialties by calling 800-223-1468 or visit https://psi-team.com. The Drexelbrook USonic level transmitter provides a level measurement utilizing a non-contact ultrasonic sensor. Measurements of level, distance, volume and open channel flow is easily configured through the menu driven display. The Usonic level transmitter is offered with a two wire 4-20 mA, Hart output signal and is suitable for all Class I Div. 1, Zone 0, I.S. or XP locations. For more information contact PSI Controls / Piping Specialties by calling 800-223-1468 or visit https://psi-team.com. Pulp and paper applications create a notoriously harsh, high moisture and chemical-laden environment; coupled with extreme vibration in many of the processes. The following document outlines an array of level, pressure, and position applications and solutions for the pulp & paper industry. Download a copy of the Measurement Solutions for the Pulp & Paper Industry here. One might guess the instrument interconnections based on the instruments’ labels. For instance, a good guess would be that the level transmitter (LT) on the bottom of the knockout drum might send the signal that eventually controls the level valve (LV) on the bottom of that same vessel. One might also guess that the temperature transmitter (TT) on the top of the evaporator might be part of the temperature control system that lets steam into the heating jacket of that vessel. 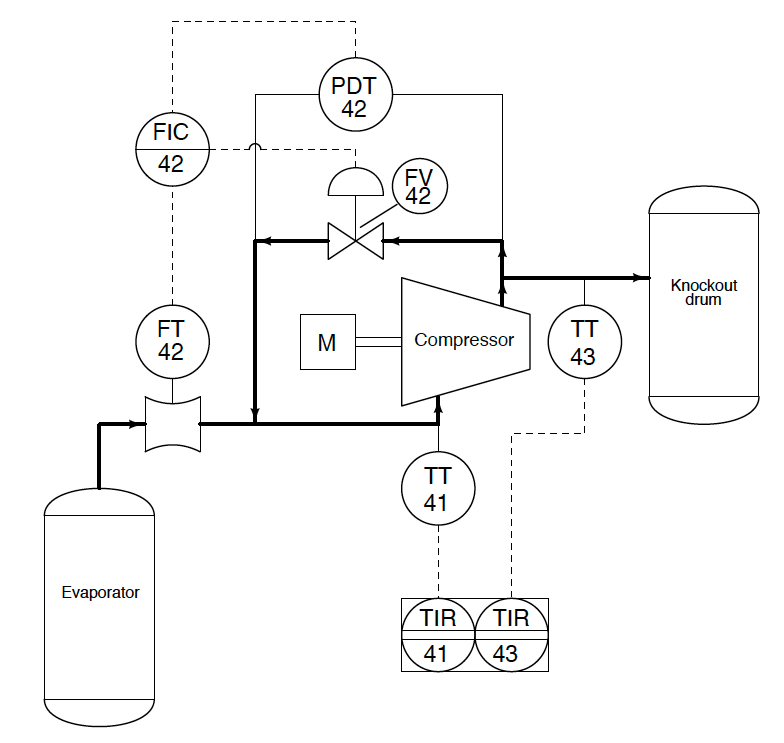 Based on this diagram alone, one would be hard-pressed to determine what control system, if any, controls the compressor itself. All the PFD shows relating directly to the compressor is a ﬂow transmitter (FT) on the suction line. 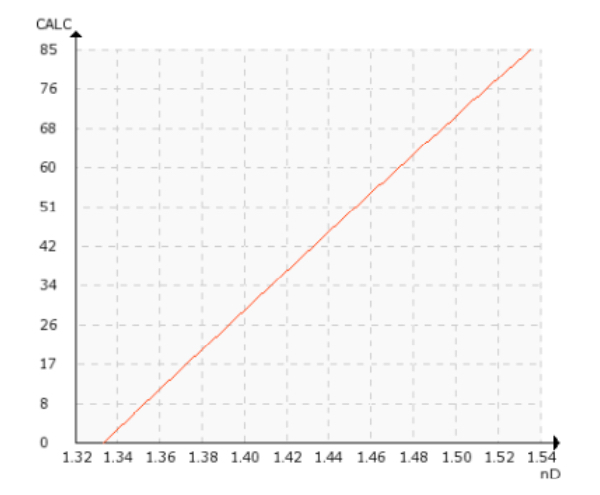 This level of uncertainty is perfectly acceptable for a PFD, because its purpose is merely to show the general ﬂow of the process itself, and only a bare minimum of control instrumentation. 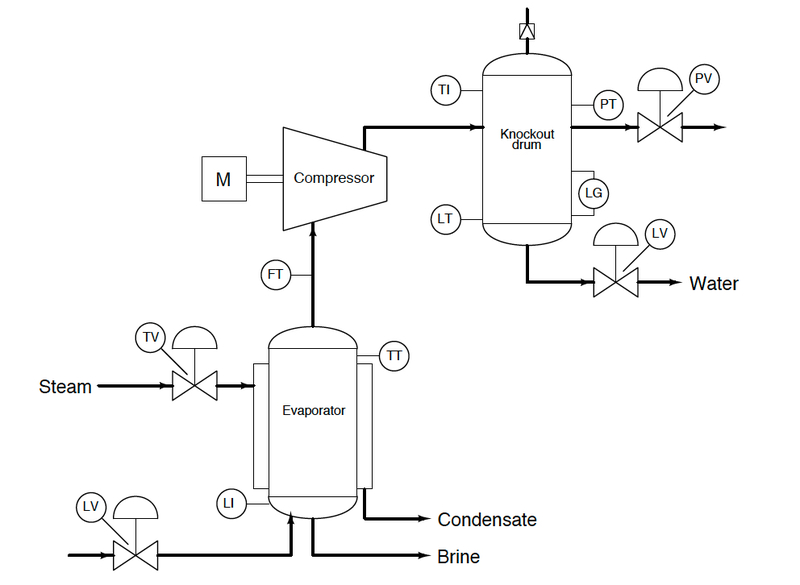 Now we see there is more instrumentation associated with the compressor than just a ﬂow transmitter. 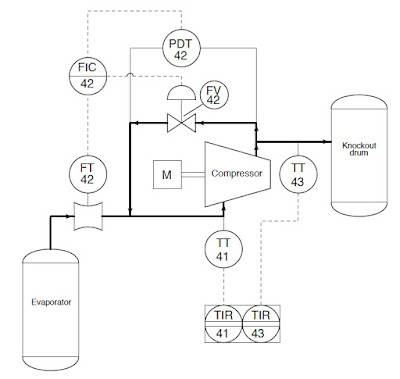 There is also a differential pressure transmitter (PDT), a ﬂow indicating controller (FIC), and a “recycle” control valve allowing some of the vapor coming out of the compressor’s discharge line to go back around into the compressor’s suction line. Additionally, we have a pair of temperature transmitters reporting suction and discharge line temperatures to an indicating recorder. Some other noteworthy details emerge in the P&ID as well. We see that the ﬂow transmitter, ﬂow controller, pressure transmitter, and ﬂow valve all bear a common number: 42. This common “loop number” indicates these four instruments are all part of the same control system. An instrument with any other loop number is part of a different control system, measuring and/or controlling some other function in the process. Examples of this include the two temperature transmitters and their respective recorders, bearing the loop numbers 41 and 43. The type of “bubble” used for each instrument tells us something about its location. This, obviously, is quite important when working in a facility with many thousands of instruments scattered over acres of facility area, structures, and buildings. The rectangular box enclosing both temperature recorders shows they are part of the same physical instrument. In other words, this indicates there is really only one temperature recorder instrument, and that it plots both suction and discharge temperatures (most likely on the same trend graph). This suggests that each bubble may not necessarily represent a discrete, physical instrument, but rather an instrument function that may reside in a multi-function device. Details we do not see on this P&ID include cable types, wire numbers, terminal blocks, junction boxes, instrument calibration ranges, failure modes, power sources, and the like. To examine this level of detail, we must turn to another document called a loop diagram (not in this post). The AMETEK Drexelbrook ThePoint™ Series uses No-Cal™ technology to detect the presence or absence of material without calibration or initiation via setpoint adjustments, push-buttons or magnets. ThePoint™ level measurement switch features both Auto-Cal and manual calibration. 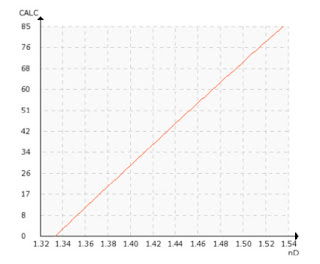 The standard Auto-Calibration mode is applicable to most liquid and slurry point level measurements. If preferred, the manual calibration can be used and is recommended for some application. ThePoint electronic unit has auto and manual calibration modes built into the standard unit and can be accessed through the simple routine shown in the video below. The inclusion of these calibration modes allows the Drexelbrook RF Point Level Products application flexibility that is far greater than any other point level product on the market. ThePoint™ level switch can be used in Liquids, Solids, Slurries, and Interface applications. To learn more specific instructions on the (8) calibration modes ThePoint™ has available, download the "Drexelbrook ThePoint Series Point Level Switch Installation and Operating Instructions" from this link. 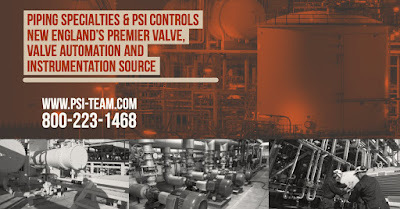 Founded in 1975, with offices in Portland, Maine and Danvers, Massachusetts, PSI has earned their reputation as New England's premier supplier of industrial valves, valve automation, process instrumentation and specialty process equipment. Pressure gauges are ubiquitous in industry and installed on machinery around the world. While there are millions of possible combinations of shapes, sizes, options and materials, careful attention needs to be given to the following five criteria for safe use and long product life. Direct exposure of the sensing element to the process media is a possibility, so attention must be given to any corrosive media, media with particulate, or media that can solidify and clog the pressure gauge element. For non-clogging media, a direct connection and Bourdon tube sensor can be applied. For process media that could potentially cause clogging, a diaphragm seal should be used. Very hot media, such as steam or hot water, can elevate the gauge's internal temperature leading to failure or an unsafe condition. For high temperature application, the use of a gauge "siphon" or diaphragm seal be applied. It is important to know the rated ambient environment for any instrument. Elevated ambient temperatures, moisture, vibration, and corrosive atmospheres can all affect accuracy, calibration, and safety. Choose the proper case and mechanism materials if oxidizing or reducing atmospheres exist, and consider the addition of ancillary devices, such as remote diaphragm seals, to relocate the gauge. In applications where dramatic line pulsations or strong over-pressure conditions are a possibility the use of pressure restrictors, snubbers, or liquid-filling will extend the service life of the pressure gauge. Pressure gauges are standardly available with bottom (radial) and back connections. 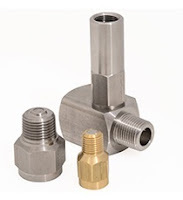 NPT (National Pipe Thread Taper) threaded connections are generally the standard. Many other process connections are available though, such as straight threads, metric threads, and specialized fittings. Make sure you know how the gauge is being connected. 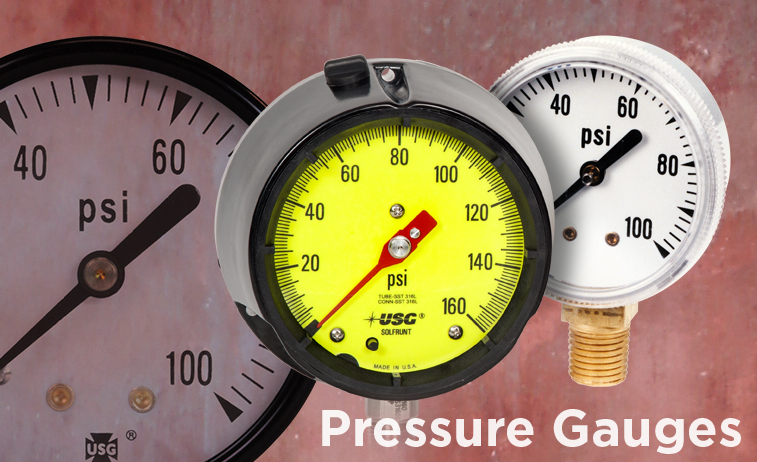 When mounting, pressure gauges should be almost always be mounted upright. 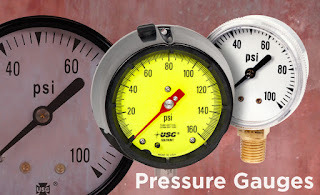 For more information about pressure gauges, contact PSI Controls by visiting https://psi-team.com or by calling 800-223-1468. Single disk check valve animation. According to Wikipedia, "Check valves are used in many fluid systems such as those in chemical and power plants, and in many other industrial processes." As shown in the animation to the left, the single disc (swing) check valve use the directional flow to push open a swinging disk. As long as flow continues, the disk stays raised. But as flow stops, gravity allows the disk to re-seat itself and any reverse flow is prevented by the closed disk. As reverse flow pressure increases, the swing check valves seating increases as well. Single disc check valves also use springs, levers and/or weights mounted on the valve to allow for better control of surge and to prevent the valve from slamming closed. 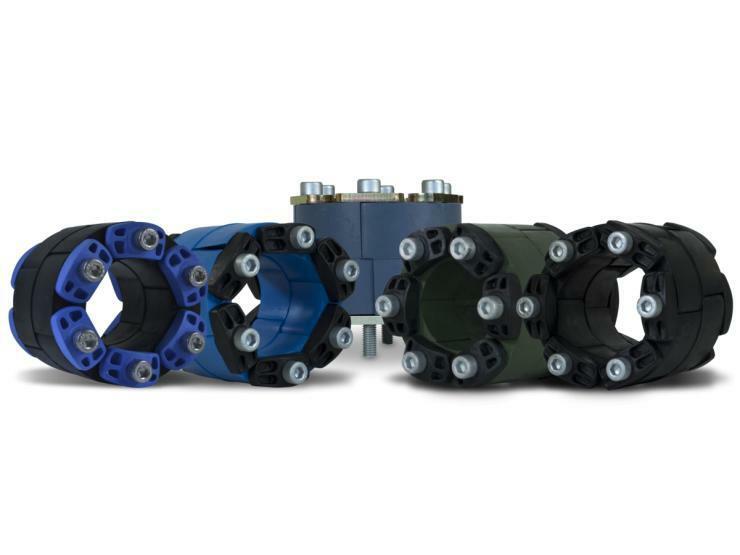 These assemblies are used to vary the valve’s closing operation in order to reduce the severity of the closing water hammer. External spring, external spring & lever, and external spring, level & weight designs (left to right). For more information on any industrial check valve, contact Piping Specialties, Inc. by visiting https://psi-team.com or calling 800-223-1468. Triple offset butterfly valves are designed to fill the demand for an alternate solution to gate valves and ball valves. They are preferred when weight, space, performance, and the ability to modulate to the process flow are an issue. Typically available in sizes 3" through 48", and in 150, 300 and 600 pressure classes, they're rated for operation from -50 deg. F. through 750 deg. F.
Designed with metal-to metal seats, triple offset butterfly valves provide distinct advantages over traditional gate valves, namely lower weight, zero-leakage, ease in automation, and capable of being used for modulating service. Offset 1: It is accomplished by moving the centerline of the shaft away from the seating plane. Offset 2: It is accomplished by moving the centerline of the shaft offset from the centerline bore of the valve. These two design features cause the disc to open and close relative to the body seat in a “camming” action and effectuate the position seated valve design which is typical of the High Performance Butterfly Valve, however there is still contact between the disc and the seat in the first several degrees of opening and closing which can cause premature wear of the seat in the general areas. 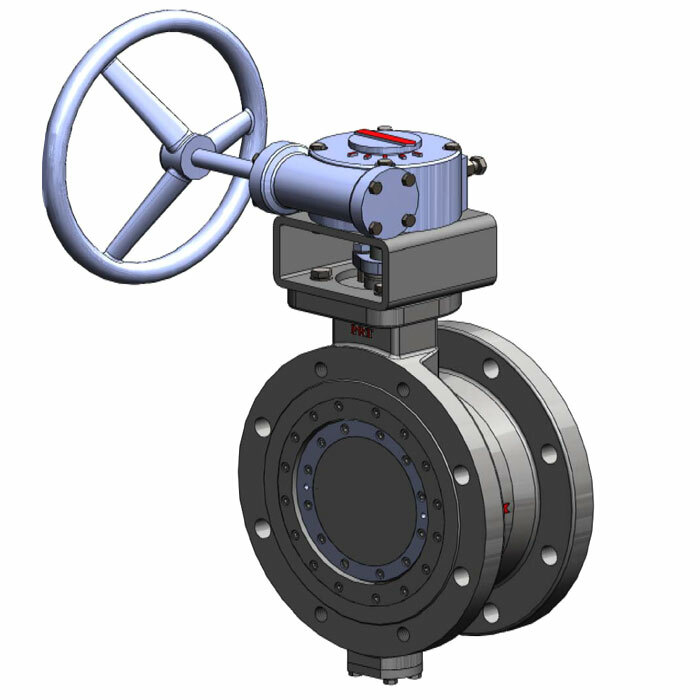 In order to achieve an API 598 Shut Off classification a 3rd offset needed to be introduced to make the valve a “torque seated” design with graphite and metal seating surfaces. Offset 3: It is accomplished by adjusting the cone angle created by the 1st and 2nd offset angles at some point downstream of the valve in the center of the piping to the adjacent piping wall as depicted in the illustration below “Sticking tendency”. 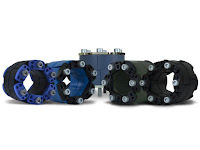 By incorporating the 3 offsets into one design typical of gate valves is eliminated with seat contact throughout the entire stroke reducing run torques and improving actuator modulating performance at the same time. For more information, contact Piping Specialties by visiting https://psi-team.com or by calling 800-223-1468.